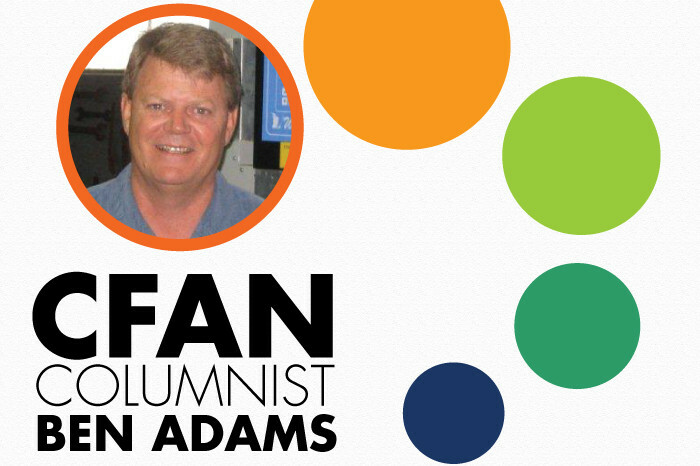 IN MARCH’S COLUMN, I began a discussion of the Adams Cold Storage (ACS) Caribbean connection — its link to the cruise liner industry and food exporting to the islands in the region. That link is the role ACS plays in the cold supply chain that helps to keep many cruise ships and some of the islands stocked with food. As a public refrigerated warehousing operation, ACS is a key link in the cold supply chain for a wide variety of refrigerated and frozen food products and ingredients. We receive products, keep them safely stored for various lengths of time at the proper cold temperature, and then help to get them out the door and on their way to their final destinations. We count among our customers those companies with food-supply ties to the cruise lines (where the dining opportunities for passengers never end) and overseas food distributors. Many of the cruise line purveyors are considered broad-line distributors, meaning that they supply a broad line of products — “everything from fresh and frozen foods to a simple set of playing cards.” One highly recognized and respected distributor is Kansas Marine, established in 1885. Kansas Marine is the only broad line distributor which exclusively serves the cruise line companies on both U.S. coasts and the Caribbean. Kansas Marine offers over 5,000 products and delivers some 70 million pounds annually to the cruise ships on both coasts and the Caribbean. While other companies provide various products to the cruise lines, they also serve grocery stores, restaurants, caterers, school cafeterias, and other food-service enterprises. • Bread items — Doughs, croissants, pretzels, and specialty breads. • Beef (often portion controlled for ease of preparation and waste reduction aboard ship) — Including high-end cuts such as T-bone steaks, tenderloins, and rib-eyes. • Poultry (also in portioned packets) — All parts of the chicken but mostly chicken breasts. • Sauces — Including specialty gravy items and pasta sauces. • Seafood — Specialty fish and shellfish in varieties are that are best suited for packaging, freezing, and safe transport. Whether it be a well-fed cruise ship passenger, or island visitor, or a dolphin, we at ACS are pleased to know that, through our food-warehousing and cold-chain services, we can contribute quite a bit toward that happiness.